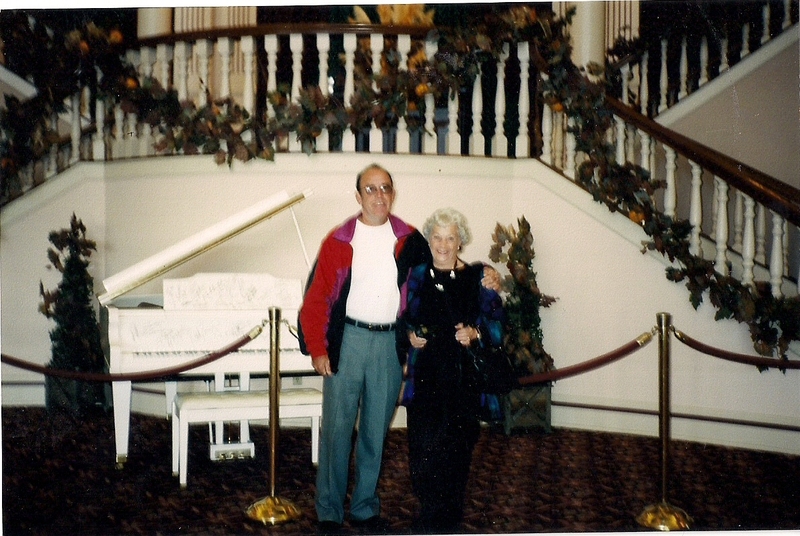 An arrival in Branson, the three hundred mile journey coming to a conclusion, the first precept was to acquisition the Quality Inn, at 2834 W. 76, Country Blvd., the hosting accommodations for Gary and his Mother Betty’s three night sojourn in the community of 6000. Once achieving their lodging ambition, the afternoon still prevailing for an excursion in the Buick, an introspection drive to discover the compilation of this small bastion of American music. 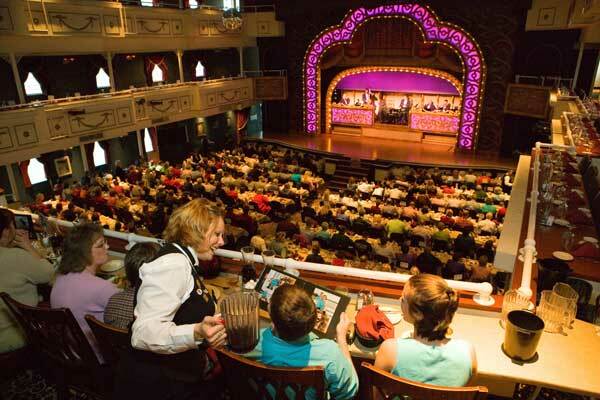 An entreaty evening meal, then their first showcase presentation awaiting, a 7:00 p.m. , a show time entrance to the Moon River Theatre, a performance by the acclaimed Andy Williams. The Willson’s were seated in the 2000 capacity impressive accommodation in anticipation. The advent of the Moon River Theatre was inaugurated May 1, 1992, Andy Williams, the first non-country entertainer to build a platform for performance. 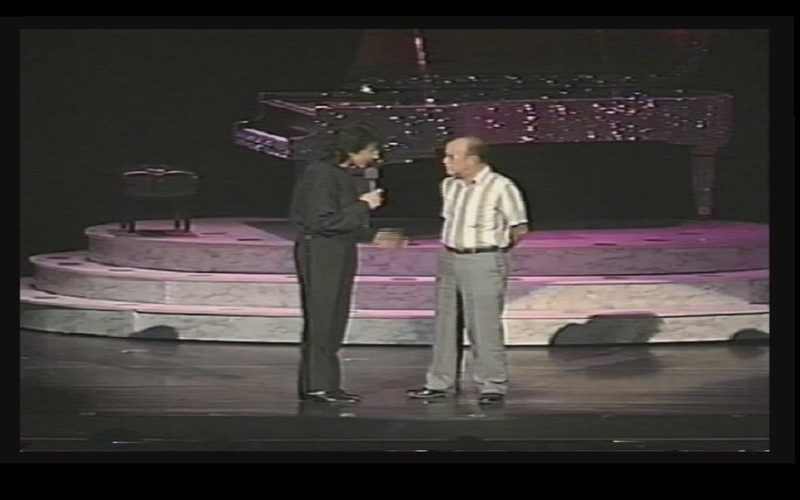 The first theatre in Branson was built in 1967 by the Presley family, featuring country stars like Red Foley performing with the Presley Family Jubilee at the Mountain Music Theatre. The celebrated Roy Clark abiding as the first of many national renown entertainers to discover Branson, initiating his country venue in 1983 with the opening of the Roy Clark Theatre. 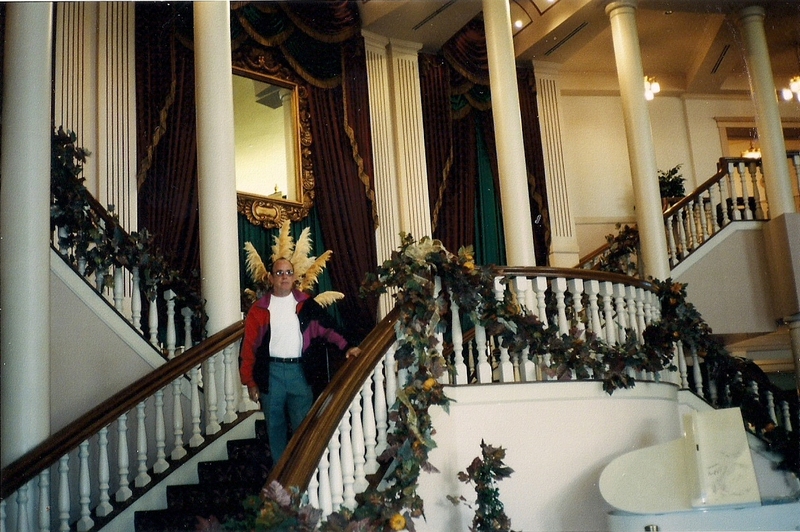 Andy Williams Moon River Theatre was more than an auditorium, a citadel encompassing three lobbies, the indoor plants décor in keeping with the magnificent grounds. 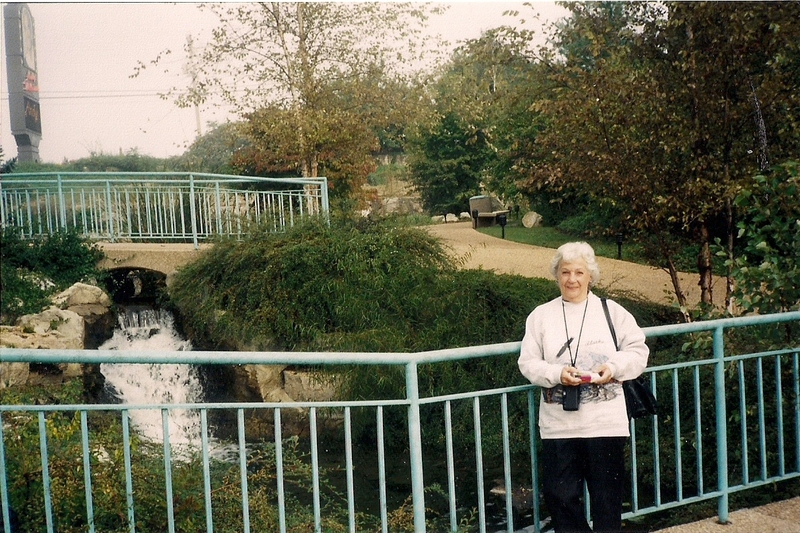 The Landscapers employing the outcropping of rocks to enfold waterfalls, Koi filled ponds, ferns and trees, all native to the Ozarks and accessible to the public. Showtime, Gary very much impressed as the curtain opened, Andy Williams welcoming the attendance and as was the custom in all Branson Show arenas, giving recognizing to different sections of the tour-bus audience, mentioning their state and cities of embarkation. Gary estimating that two-thirds of the tourist amassing in Branson arrived by bus as patrons of a tour. The wonder of Andy William was everything expected, Gary finding the only surprising feature was his physical stature, 5’6’’ wearing platform shoes. Williams singing many of his 18 gold recorded vocal expressions, including two of Gary’s favorites from the 50’s, Canadian Sunset, and Lonely Street. Gary and his Mother impressed by the astounding performance, making a note to return during the delight hours and apprehend the scenic grounds of this prodigious theatre. Saturday afternoon, the couple awaiting the 2:00 p.m. Remington Theaters production of Branson City Lights to commence, the two returning to explore Andy Williams, Moon River argillaceous location before the City Lights production. The Branson City Lights program at the Remington was unconventional , a musical presentation on ice, a preview of a new forum for Branson, a ceremonious ice extravaganza premiering in three weeks. The conclusion of the program, the Visitors prospecting the downtown memorabilia shops, Gary purchasing a keepsake shirt embossed with the name Branson. 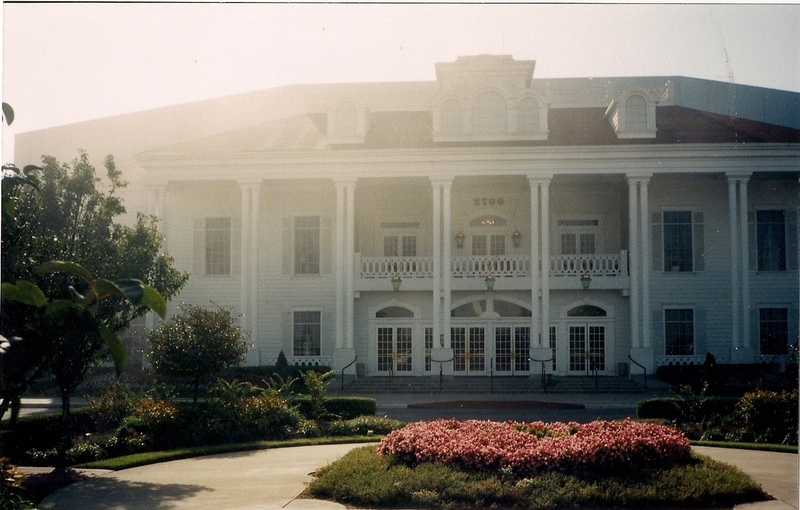 The evening endeavor at the Grand Palace approaching, built in 1992 at cost of 13 million dollars, the largest and most luxurious theatre in Branson, seating over 4000. 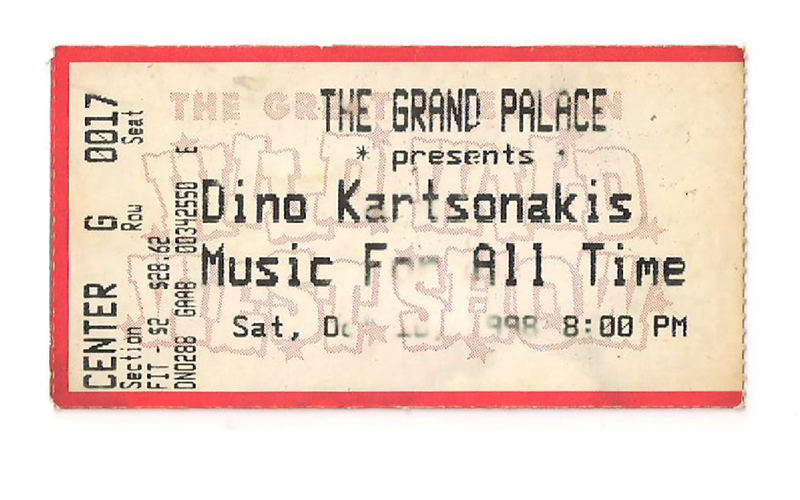 Gary was totally inculcated with grandiose of the theatre, but no knowledge of the skill of pianist Dino Kartsonakis, except that some said he was a poor man’s Yanni and others asserting he was a Christian Liberace, because his apparel, jewelry and scintillating piano. A brief biography discovering the virtuoso began playing at the age of three and was a student of the Julliard School of Music. Gary and his Mother seated, Dino coming on stage asking for a volunteer to join him at the piano. A name was given him, Camille, the pianist trying to coax her to come on stage, but to no avail. Gary’s mother, her elbow jabbing him, beseeching him to volunteer, Gary rising, Dino recognizing him, asking him to come forward. Dino joining Gary in aisle, microphone in hand, the two mounting the stage. Dino interviewing the captive visitor about his musical background, then asking if he was familiar with these three songs, “Put Another Nickel In“, “The 12th Street Rag“ and “When The Saints Go Marching In”. 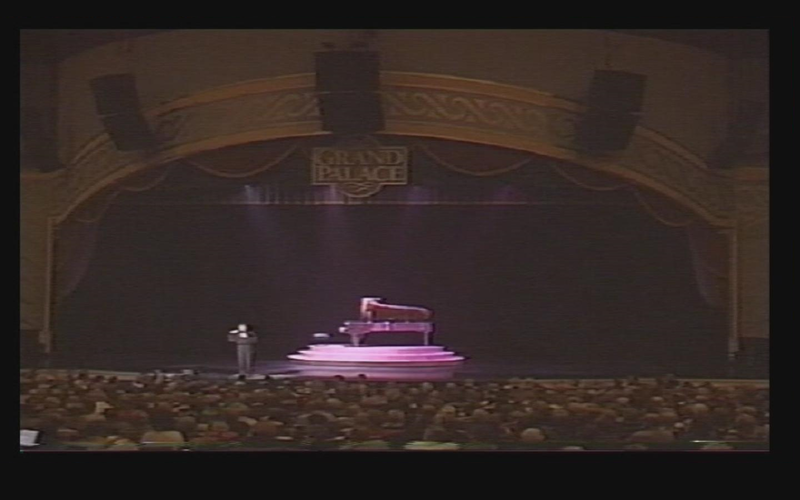 Gary answering affirmative, the two addressing the nine foot light studded concert grand piano poised on an embellished lit, three-tier platform center stage. 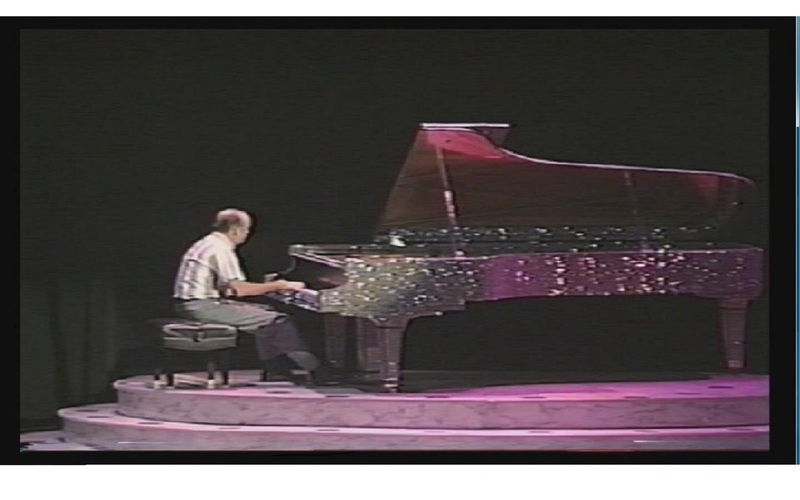 A duet was initiated with “Put Another Nickle In”, Gary on the left, but soon found Dino exiting, leaving him solo, to play both upper and lower keyboard parts. Dino returning to initiate upper octaves of the 12th Street Rag, then seating himself to Gary’s left to address the lower keys, allowing Gary to play the higher octaves of “When The Saints Go Marching In”. The music complete, Gary receiving a standing ovation from the attendance, Dino asking Gary if they had ever meant before, because there were always some in the audience that might think he was a plant. Before leaving the stage Dino presenting Gary with a gift certificate and a video tape of their performance together. The short return journey to their place of abode, found a Ruby Tuesday Bar and Grill less than two blocks from the Quality Inn. Gary’s Mother Betty desiring to stop for a snack and a nightcap of her favorite beverage, the bartender familiar with the Kahlua configuration called a Separator and it wasn’t long before the eldest Willson enthralled the customers with her conversation. Morning donuts provided, the Quality Inn having in room coffee makers, boxes of pastries displayed on a series of tables set up outside the buildings complexes, Gary able to secure several to wean their morning appetite. A return visit to the Grand Palace to peregrinate throughout the areas open to the public, a camera in hand to preserve the visit. 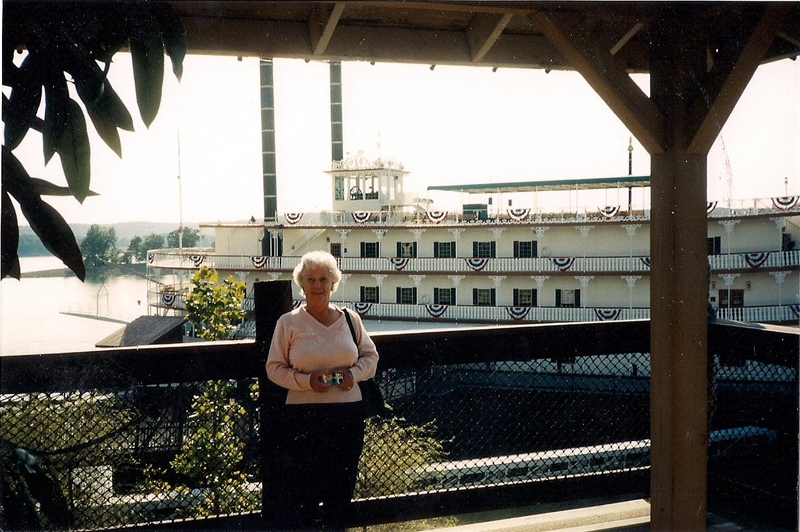 The Branson Belle Showboat awaited, a 11:00 a.m. cast off time for the Luncheon Dinner Cruise on Table Rock Lake. 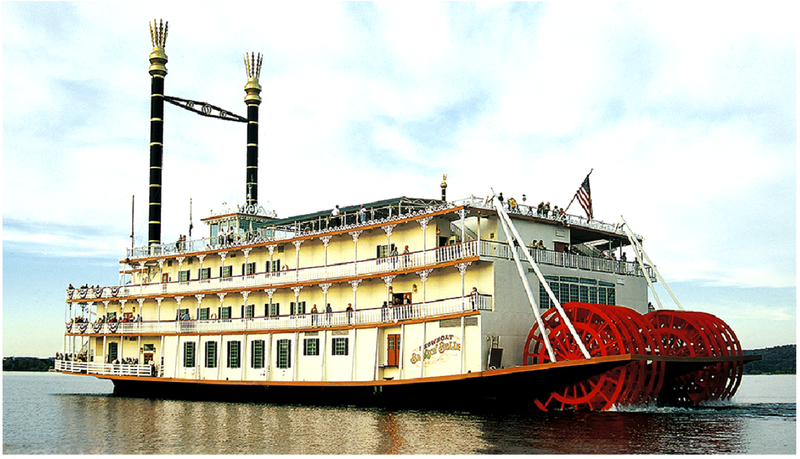 Boarding the paddled wheeled Queen of Table Lake, the Branson Bell Showboat was under way, commencing a two-hour dinner cruise. The reservation slips denoting the Willsons placement, a balcony dining seating provision, looking down upon the prestigious stage, the view enabling one to reminisce of the ambiance of by-gone era. The sound of music filled the exposition dining room, show tunes from Broadway, music of past generations, a compliment to the three coarse meal being served. 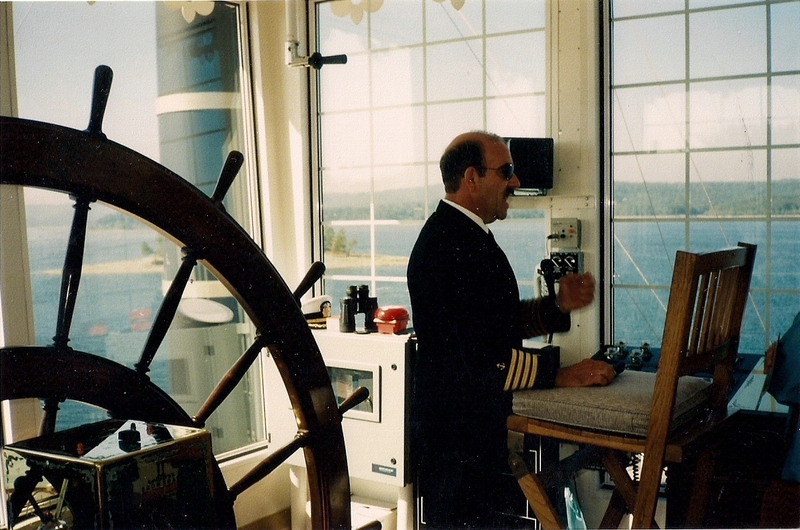 A final desert , Gary and his Mother Betty traversing to the only exterior deck atop the boat, adjoining the Wheel House, the two introducing themselves to the Captain. The view from the Showboat a remembrance of a past excursion on a paddle wheeled goliath, The Delta Queen on the Mississippi with his first wife Kermece, only the Missouri temperature much more congeal for a cruise than the humidity of New Orleans. Gary finding the lake expedition, music and the meal gratifying, especially in the company of his mother, whom was like-minded in sharing the aura of the experience. A 3:00 p.m. calling, the two arriving at Bobby Vinton’s Blue Velvet Theatre, appropriately name, entering the lobby, the ceiling with clouds and cherubs, the carpet, the walls, all in blue, Gary realizing Bobby must savor the color that brought him to stardom. The stage finding two screens on either side for visual presentations, hosting a seating area for the Glenn Miller arrangement orchestra and as always, an introduction and a recognition given to the tour-bus groups, Bobby upholding the Branson tradition. Bobby was extraordinary showman, his enthusiasm bursting forth, Gary admiring his dedication for an afternoon performance. The vocalizing of Blue Velvet bringing back memories, the last time Gary performed the song was in 1963 with a group from Chicago called Bobby And The Runaways. The playing of the polish aire, Melody of Love, brought the rhythmic hand clapping the audience coming alive with their participation. Bobby was no stranger to those in attendance, microphone in hand, progressing up the aisles, stopping beside Gary’s Mothers aisle seat, kneeling beside her and singing. The matriarch Willson enjoying every minute of it. 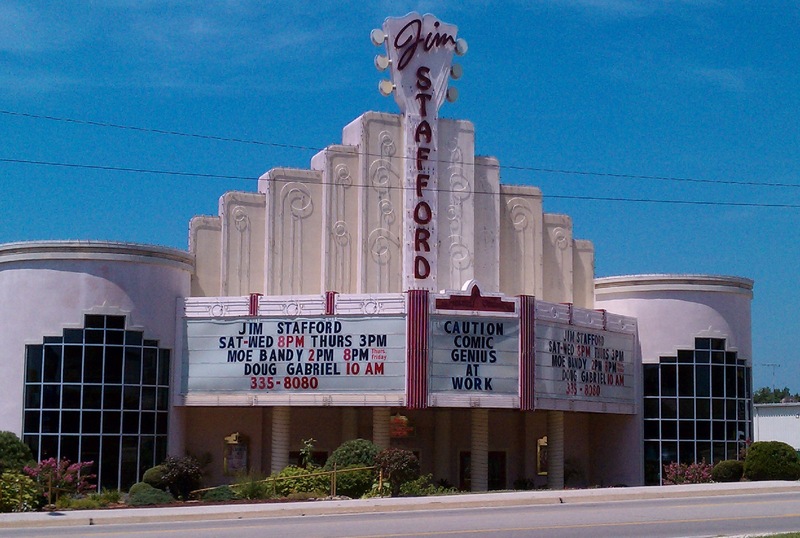 The concluding entertainment presentation for Gary and his Mothers Branson adventure was an 8:00 p.m. participation assembling at the Jim Stafford Theatre. Jim an icon comedian, singer, musician, a regular performer on the 60’s Smothers Brother Hit television program, as well as the Smothers Brothers head writer and producer. Gary’s recollection producing only one song that he could recall by Jim Stafford, recorded in 1966, “Spider and Snakes” topping Billboard as the number 3 song in the nation. Jim’s production of the song was something out of the Twilight Zone, a hologram machine, transported images of spider and snakes out into the audience, Gary never having experience an event with such visual reality. Spider and Snakes floated right before your eyes, finding most members of the audience, reaching out, trying to grasp the visionary perception. 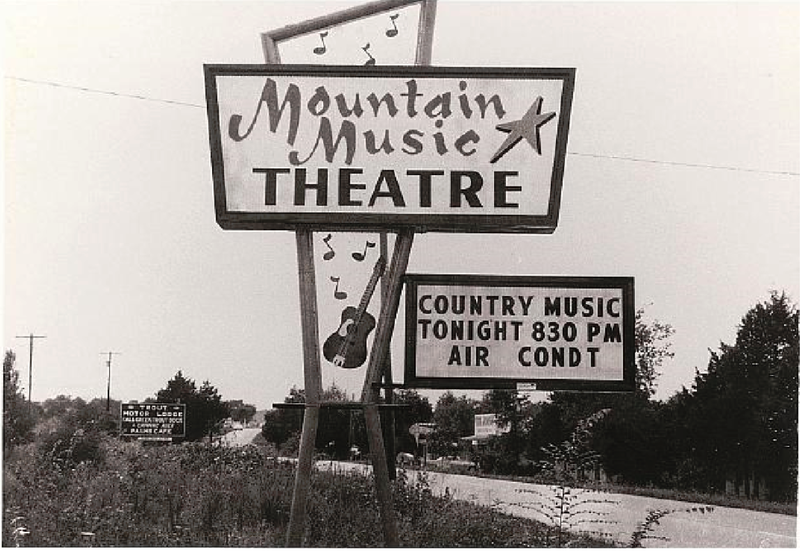 The venue of the music was a welcome sound, giving evidence that country music still reigned king in the realm of Branson. The evening event concluding, Gary traversing the Buick towards Ruby Tuesday for a farewell toast to Branson. A forlorn adieu to Branson, Gary directing the Skylark northwest to intercept interstate 44 and the Will Rogers Turnpike, continuing a southeasterly journey to Tulsa, a lunch stop then apprehending the Turner Turnpike to Oklahoma City. Gary and his mother arriving at the home of his daughter and son in-law Chris and Marlo Denton. Grandma Willson to return to California on a flight from Oklahoma City. Gary returning to Kiowa, bidding his love to his mother and the time the spent together, a memory to be never forgotten. This entry was posted on February 2, 2016 at 5:09 pm and is filed under Uncategorized. You can follow any responses to this entry through the RSS 2.0 feed. You can leave a response, or trackback from your own site.